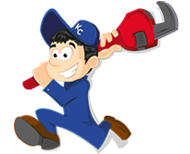 Chase Thompson, the owner of KC Plumber Pro grew up in Shawnee and graduated from SMNW High School in 2002. Shawnee is broken up into two areas, Old Shawnee and Western Shawnee. 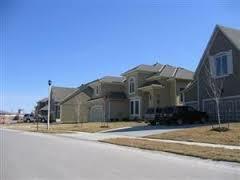 Many of the homes in Shawnee North of Shawnee Mission Parkway have been there since the 60′s or earlier. This means that the drain lines are usually cast iron and the supply lines or either galvanized or copper. Cast Iron drain lines are something to be concerned about if you are looking to purchase a new home. The lifespan of Cast Iron drain lines is very difficult to predict, in some cases I have seen cast iron that is 80 years old and still in decent shape. I have also seen commercial buildings that went up in the 80′s that needed to replace the cast iron drains. The best way to tell if your drain lines are going to give you trouble is to have a sewer inspection completed. You can also get a general idea of the condition of the drain by looking at the cleanout plug. If the plug has been replaced with a plastic bushing then it has had some recent problems. If it looks like the original cast iron and doesn’t seem to have been removed, it’s probably in pretty good shape. 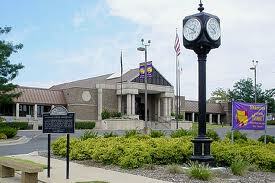 Western Shawnee is primarily composed of newer housed built within the last 15 years. One issue with some of these newer homes is the use of polybutylene supply lines. This was the first generation of PEX and used in homes built between 1980 and 1995. These supply lines look like regular PEX but have are grey instead of white, blue, or red. Sump Pump replacement is also a common repair for Western Shawnee residents due to the large number of finished basements in the area. Always keep in mind that the best sump pump is one that doesn’t need to run very often. 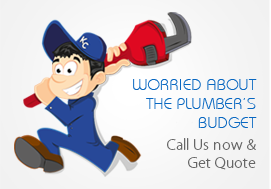 KC Plumber Pro can help address exterior issues that can make your sump pump work harder than is should have to. One of the new plumbing requirements for Shawnee homes that impacts Western Shawnee is the requirement of Thermal Expansion tanks for all closed loop systems. Most houses in Western Shawnee are on a closed loop due to the PRV that is installed to regulate water pressure. If you are replacing a water heater in Western Shawnee you need to have a thermal expansion tank installed.